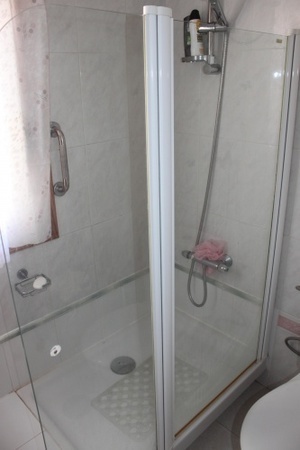 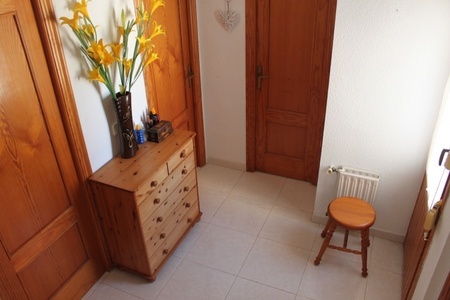 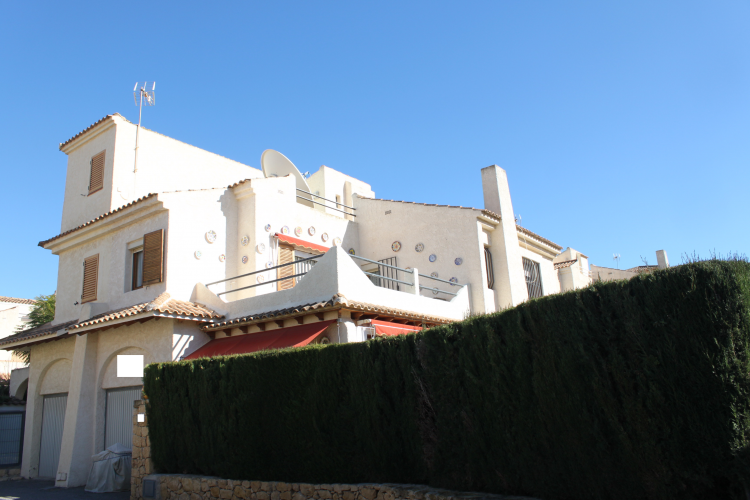 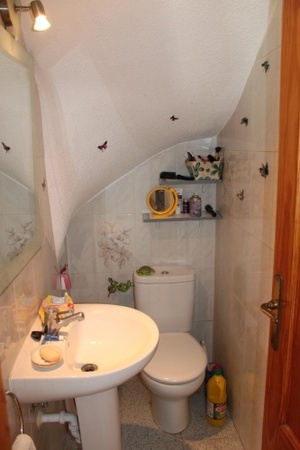 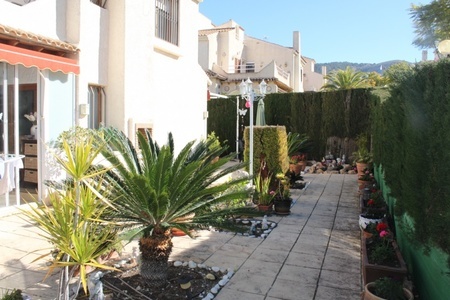 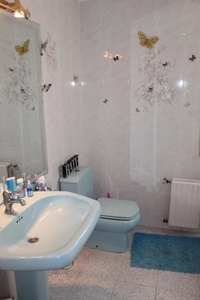 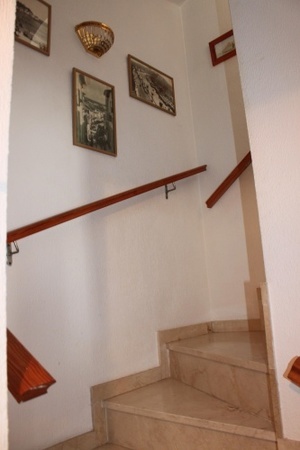 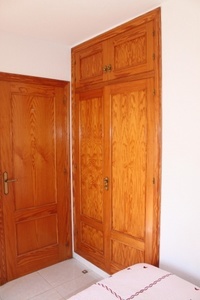 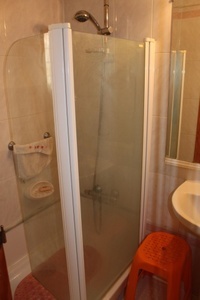 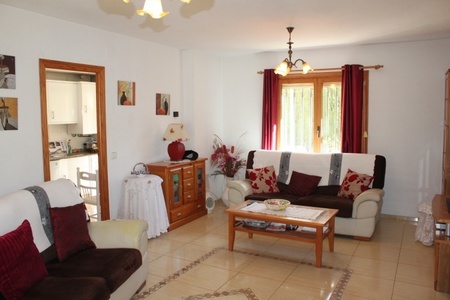 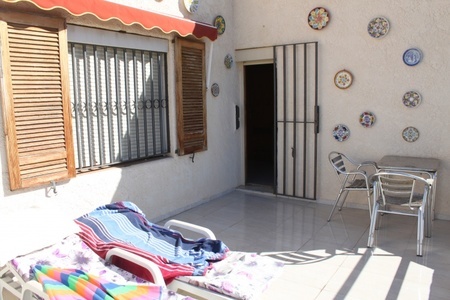 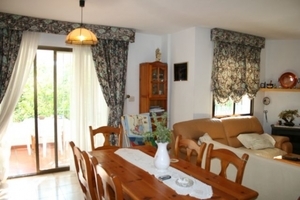 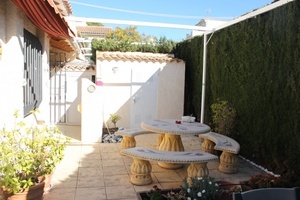 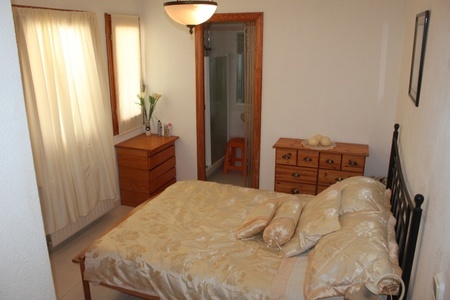 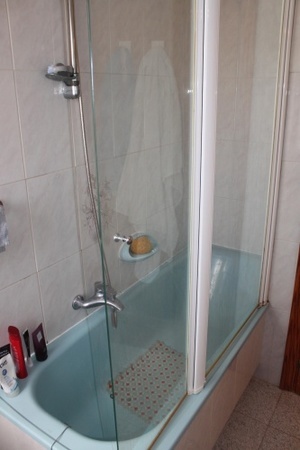 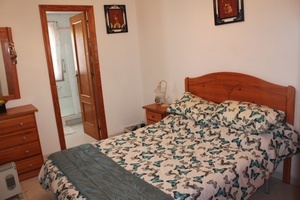 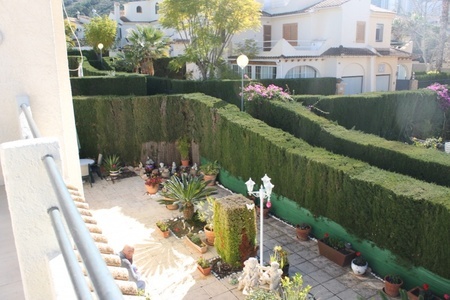 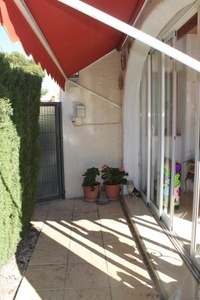 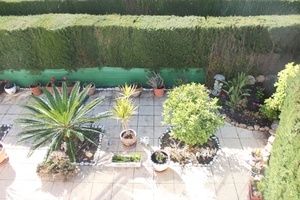 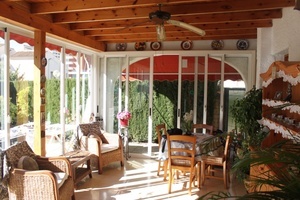 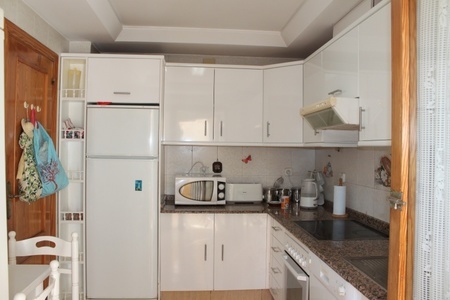 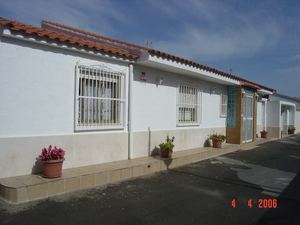 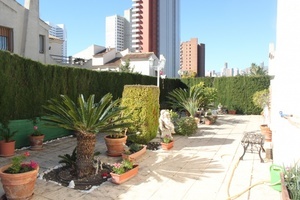 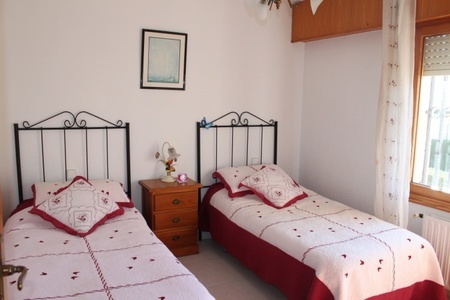 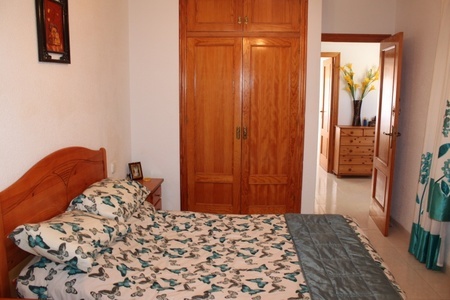 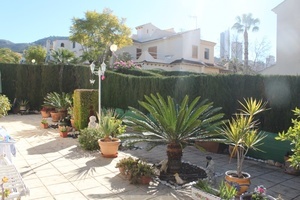 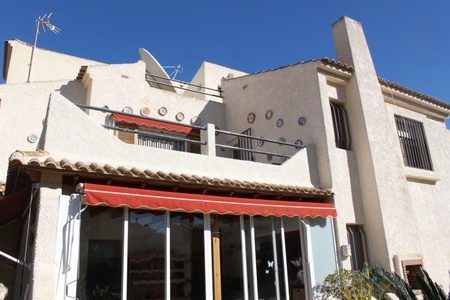 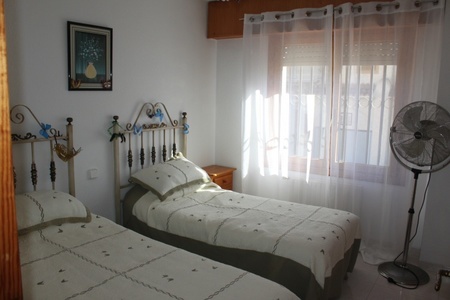 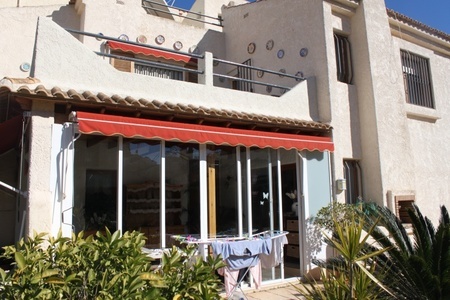 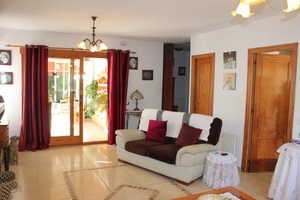 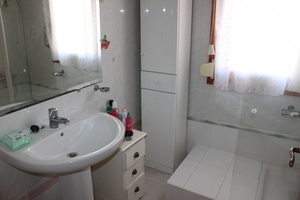 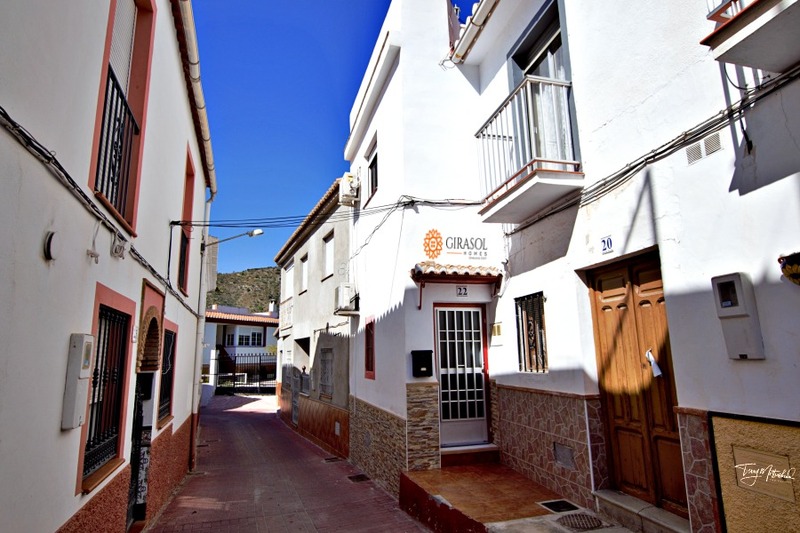 Semi-detached bungalow for sale in Benidorm, very close to the main avenue of the Rincon de Loix area. 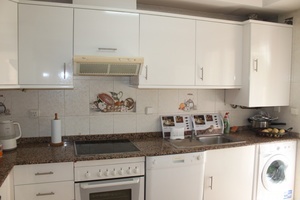 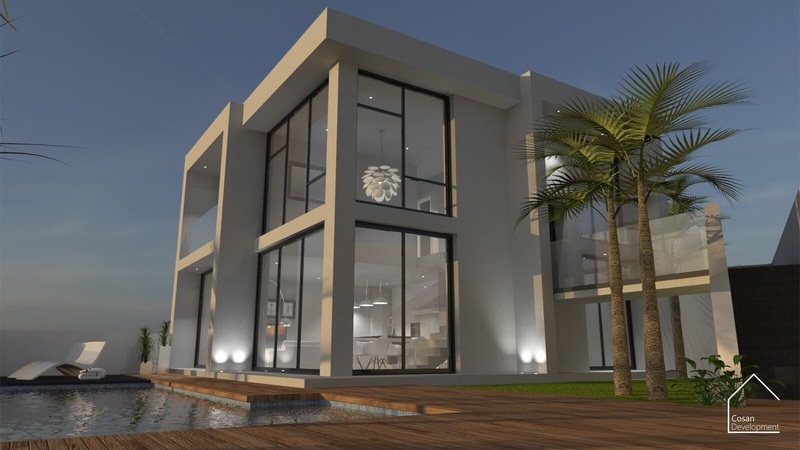 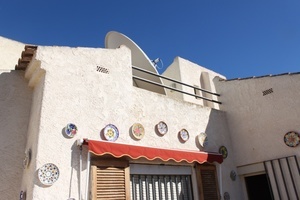 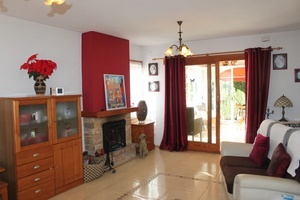 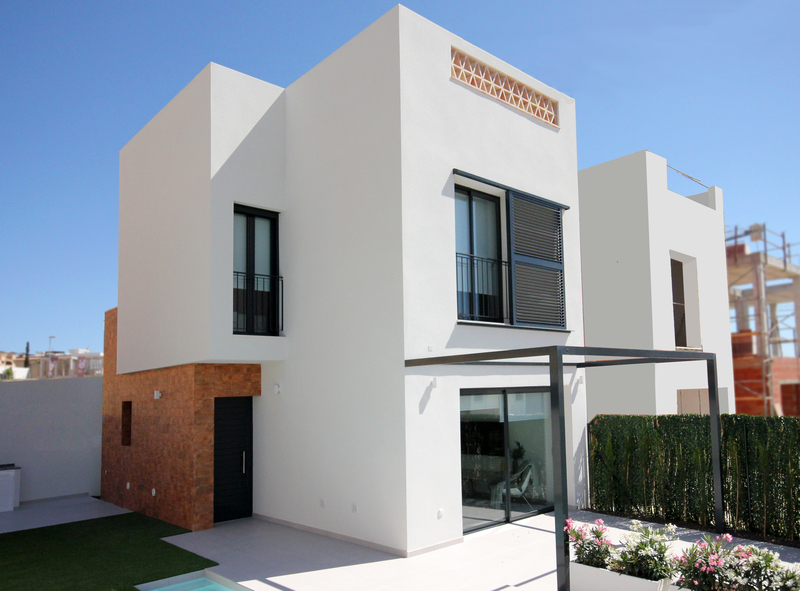 It consists of a ground floor with a constructed area of ​​85.53 m2, distributed in a garage (converted into a bedroom), hall, toilet, kitchen with gallery, dining room with fireplace, pergola and staircase to the upper floor constructed of 60.62 m2, distributed in 3 bedrooms with built-in wardrobe and 2 bathrooms; with access staircase to the covered cassette which has a constructed area of ​​5.06 m2, occupies a total area of ​​141.21 m2. 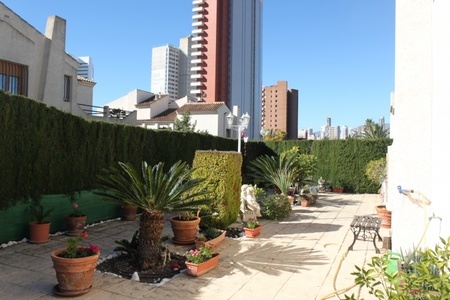 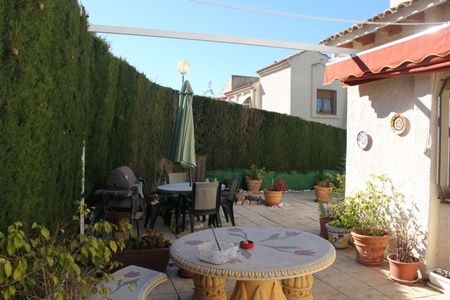 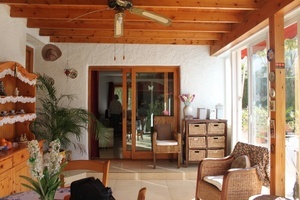 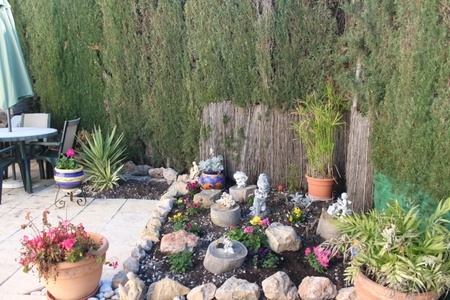 Around the house has garden and terrace areas. The couplet is in very good condition and has heating. 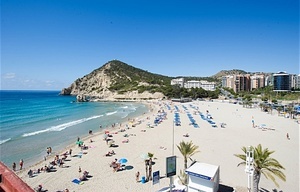 It is very close to the Hotel Meliá, a short walk from all amenities and the beautiful Levante beach, with the option of doing fun water skiing (cable skiing). 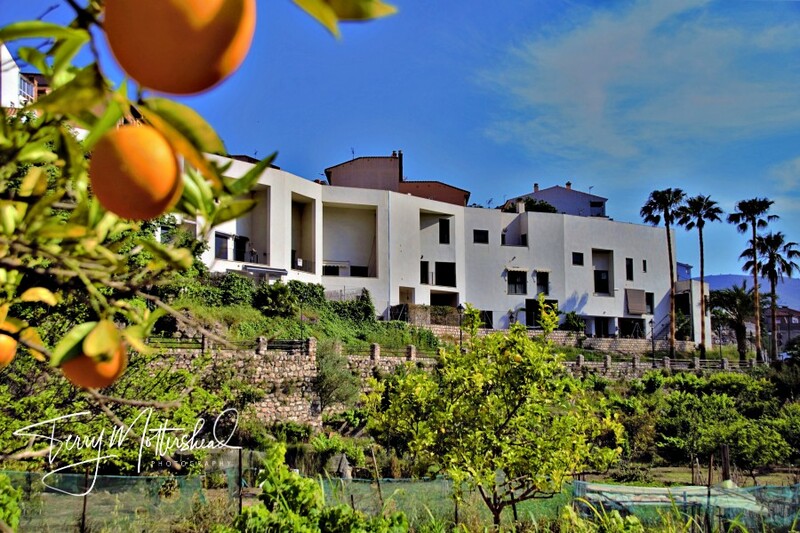 Within walking distance is one of the largest water parks in Europe, “Aqualandia”, next to “Mundomar”, a beautiful park of marine and exotic animals.